Hi everyone! My name is Melissa Bove. I am so honored to have been asked to create something for the Simon Says Stamp and Show Blog! I love anything vintage and shabby! 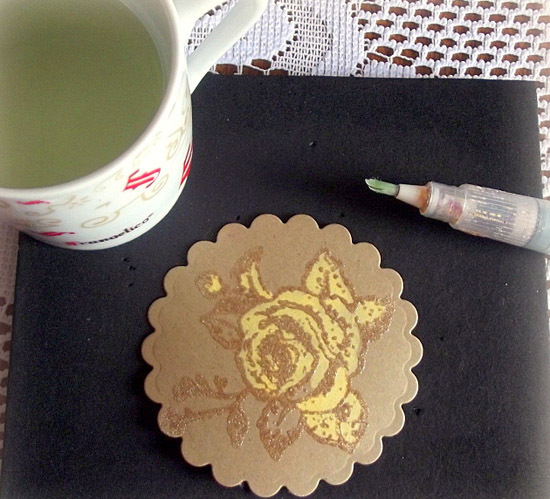 I am currently on the Simon Says Stamp Challenge Blog DT and love every minute of it! So it is a nice change to come over to here and visit. 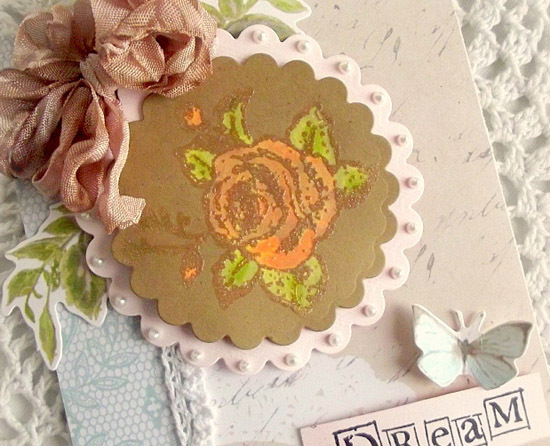 Today I am going to show you how to add some highlights to your stamped images using Bleach. First you will have to stamp your image onto a darker colored cardstock using an Embossing Ink. Distress Ink will work too. 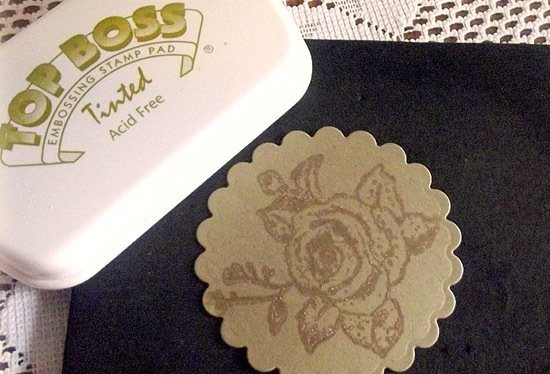 Next you will add your embossing powder onto the image, shaking off any excess. 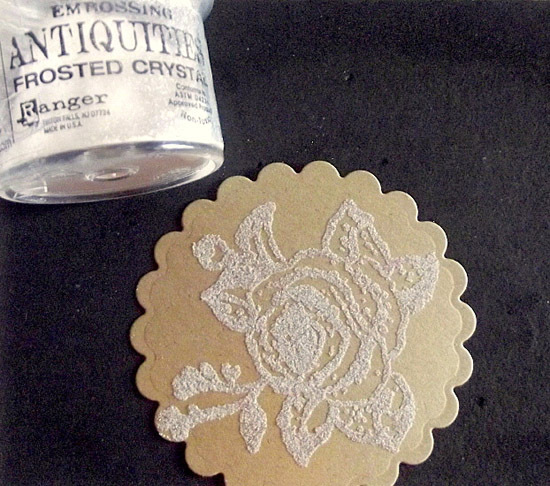 Melt the powder using an Embossing Heat Tool. Using household bleach and a brush, color in all parts of the image. When dry, color in image with Copic Markers or any coloring medium that you choose. This technique gives some subtle highlights to your image as well as an aged almost stained glass kind of look. For my second card, I decided to use some black cardstock and white embossing powder. And what I noticed with the bleaching technique on black cardstock, is that it leaves rich golds, browns and greens colors. So since I wanted earth tone colors, there was no need to even color in the image! I first stamped the entire image with white ink onto the black die cut cardstock. I then stamped it again with embossing ink onto a second piece of black cardstock, added the white embossing powder and heated until melted. As I did with the first card, I colored in the image with the bleach using a brush. 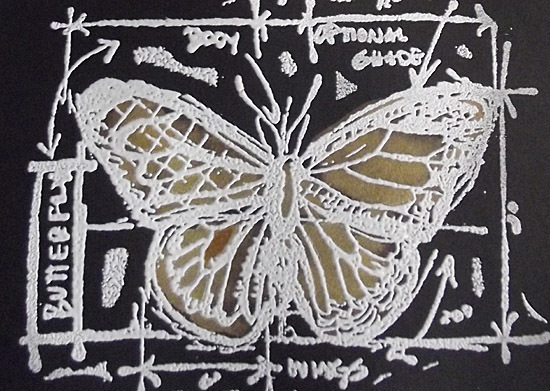 Once done, I cut the butterfly out and adhered over the original stamped image. Once the bleach was completely dry, I added a layer a Rock Candy Distress Stickles over the image to give a subtle sparkle to it. Thank you so much to May and the rest of this fabulous team for having me this week! It was a lot of fun!! Thank YOU Melissa for sharing such a cool technique! I love the results and how the look varies depending on the cardstock color. This is a cool idea. I hope you've enjoyed Melissa's cards as much as I have. Now are you feeling inspired to get a little stamp-y yourself? Then join us in this week's challenge! Click here to see the rest of the design team's entries and to enter your creation. For the full rules, read the "challenge rules" posted in the side-bar here on our blog. Gorgeous inspirational technique Melissa. TFS! What a great technique! Just love how the black one turned out! Both cards are beautifull! FAbulous creations from Melissa! Love this butterfly a lot! Love this! Never thought of combining bleach with Copics. Brilliant! Beautiful cards, I love the butterfly! I'm inspired to try this technique. Your samples are beautiful. 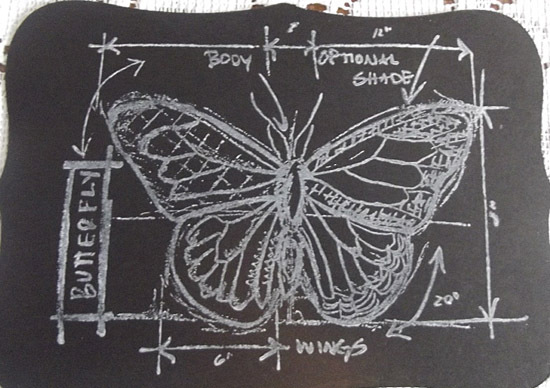 Cool look to your butterfly and a neat little technique. TFS! Gorgeous cards! Thanks for sharing your tutorial. Beautiful cards! 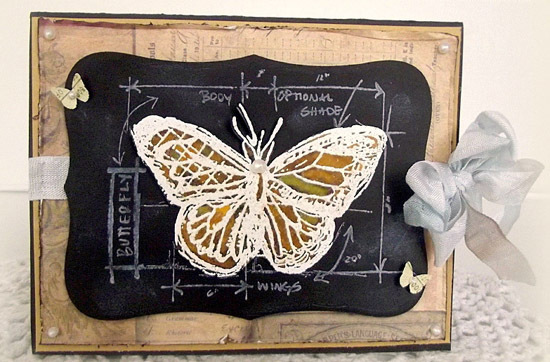 Love the butterfly image bleached and colored on that black cardstock... really stands out! I like the results of this bleach technique! Wonderful technique with amazing results! thanks Melissa! I love both cards. 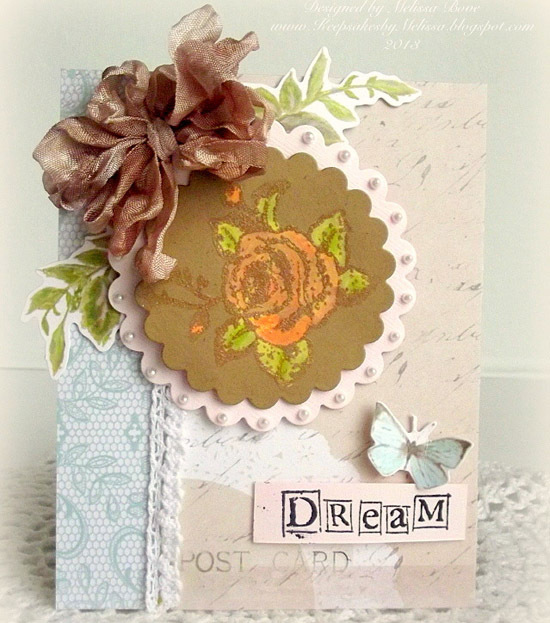 love the full cards the butterfly one is my fav great tutorial tfs!! Bleaching is a cool technique if you can get away from the smell! These cards are so nicely done - thanks for the tutorial! Thanks for the tutorial(s). I especially like the butterfly card. Such gorgeous work! Thanks for the awesome tutorial!!! These are GORGEOUS Melissa! I love this technique...and your cards. These are so cool... the butterfly is so stunning! Love seeing this bleach technique! I'm going to try it myself. Thanks so much! Awesome idea! I love the rose! Melissa, these both look great and I especially lovr the difference the Stickles make. Thanks for the tutorial.